My brother, Dan Foster, runs a company called country shaker with my mum and other brother, making hand turned bespoke furniture using traditional shaker methods (check out the wooden screw on the peg there). 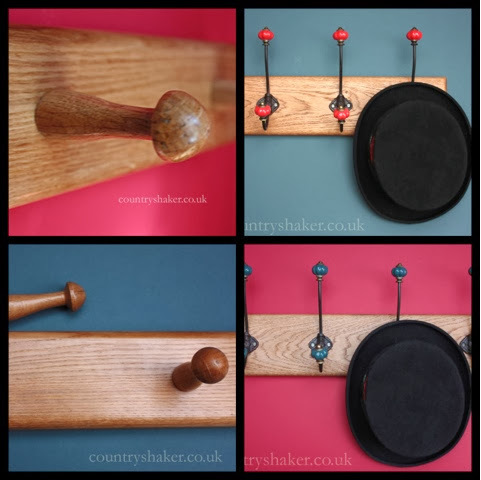 One of his now famous shaker peg rails has been featured on the programme sixty minute makeover so I've been enlisted to gussy up their site by taking some nicer product shots. I've not managed to con my way into receiving a rocking chair yet though, and I did have to see a picture of Peter Andre patently groping my mum*. Uncool, Peter, uncool. Also, he looks teeny tiny standing next to Dan, so don't mess with me, I got two more brothers ya knows. *this is not entirely true, but he was hugging her, so, hands off Andre.he was also trying to get his arm around my sister, who had the look of a woman that has had her personal space badly violated. Not because of who he is, just because that's what she's like if you get within a metre of her, which makes her one of my favorite people to hug.